Compare Quotes and Designs- Try to meet with at least 3 companies • Be sure to compare quotes ‘apples to apples’ • Beware of a quote that is ‘too good to be true’ Use your gut feelings- A contractor that makes you feel comfortable will usually be a good experience. 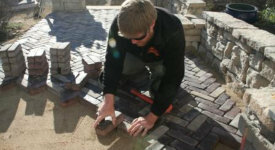 • You will have the best outcomes with a Design/Build Company • Be sure the landscape company offers contracts and warranties their work • Change orders are a standard practice with professional landscape contractors and they protect both parties from costly misunderstandings. 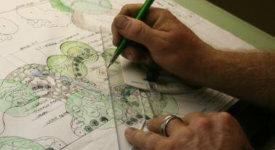 • A good landscaper will plan for it ahead of time, but often unknown variables may affect your project. o Examples: Water flow, nature, weather, material pricing and availability, neighbors, associations, and government regulations. 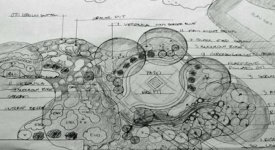 • A good landscape designer will use the landscape plan as a starting point, and will make adjustments based on variables and unknowns encountered on the job.